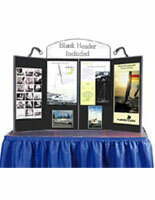 You might be wondering "How did briefcase displays get their name?". 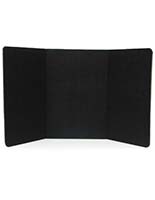 It's simple: they fold into a compact shape with a shoulder strap and can be carried much like a briefcase or shoulder bag. 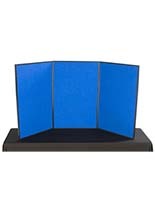 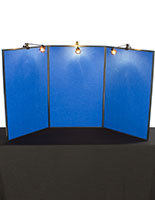 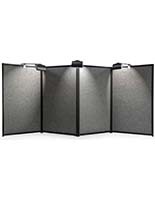 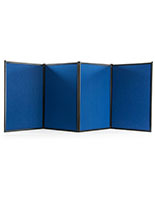 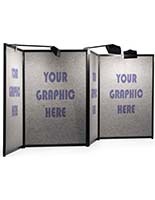 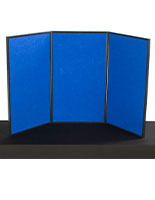 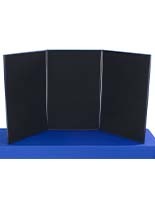 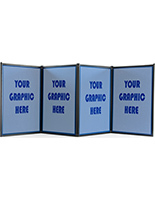 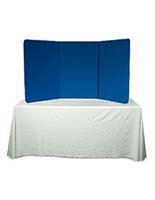 For the presenter who is frequently pressed for time or tight on space, the portable characteristics of these displays make them a popular choice for trade shows, conferences, fairs and more. 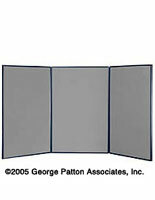 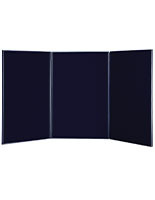 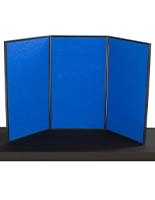 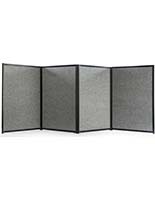 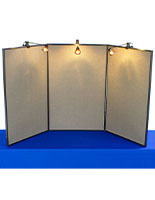 Their foldable panels and slim width enables the user to fit them into small vehicles or carry them down busy hallways. 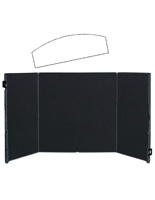 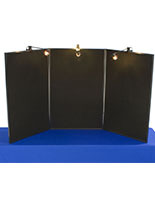 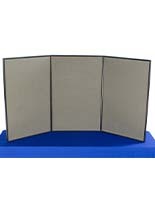 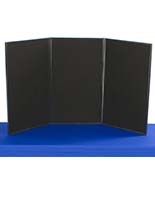 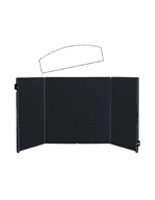 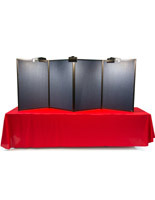 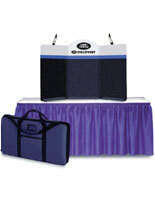 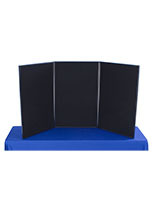 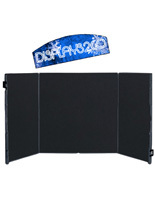 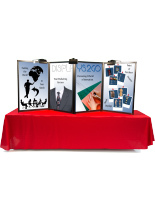 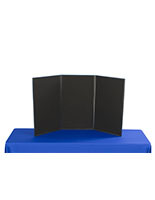 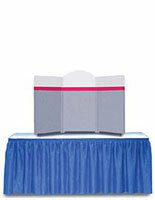 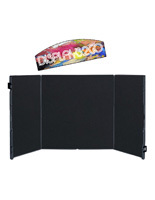 The carrying case display is very simple to fold down and then expand when you reach your table or booth. 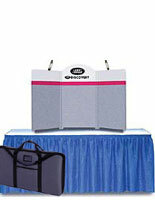 This travel-friendly design also lends itself to sales meetings with clients. 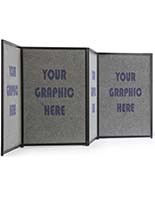 Simply carry the briefcase into the boardroom and the presentation display will be in full view of your clients in just seconds! 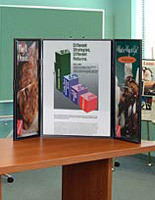 Many briefcase displays use a hook and loop technology to fasten graphics and accessories onto the panels. 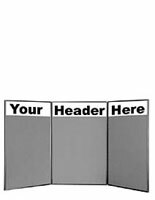 Create custom layouts and swap the swatches in and out for full effect. 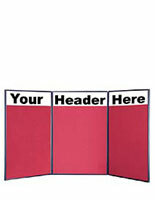 Select from a variety of sizes depending on the size of your display. 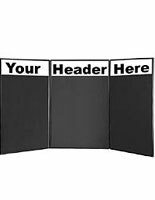 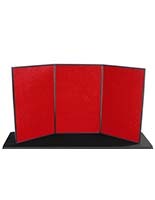 From 10’ wide standing backdrops to compact countertop displays, we have an assortment of panel-style boards to create the perfect display for your trade show booth. 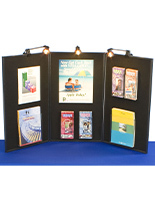 Get fancy and upgrade your briefcase display with some customization options. 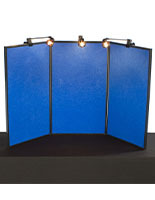 Choose from 9 different colors or outfit your display with halogen lighting to draw eyes towards graphics and photography. 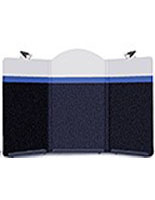 Many colors of touch fastener fabric are available as well: blue, gray and red are just a few of the styles in production. 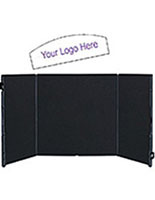 Find the one that best fits your brand or business! 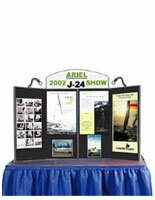 Don't forget to shop hook and loop accessories to design the most effective briefcase display at the event!